Are you one of those people who, as you entered your tween years, began thinking about retirement planning, or even went so far as to formulate and implement a retirement savings plan? If so, you might think that this post probably isn’t going to be your cup of tea. To put it bluntly, however, you would be wrong. 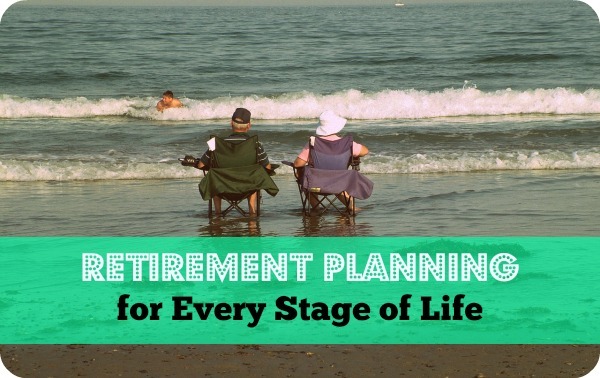 You see, good retirement plans are not static; rather, they change according to the individual’s age, income, enrollment in a private pension, and overall financial status, among other factors. In this brief overview, we will provide a basic guideline from which you can research the retirement options available to you. To begin with, you will need to have worked and contributed to your National Insurance Record for a minimum of ten qualifying years to qualify for any State Pension at all, and must work at least 35 qualifying years to get a full State Pension. That doesn’t sound too difficult, until you realize that your State Pension – £151.25 per week, minimum – is not likely to cover all your retirement expenses unless you have no significant outstanding debts such as a mortgage or new car loan, and are able to live very frugally. You are going to need more money if you hope to even maintain the lifestyle you’ve enjoyed during your working years. One good reason to begin implementing your retirement plan at a young age is that it will have less impact on your lifestyle than if you begin it later. In the early years of your career, you likely don’t have a large mortgage payment taking a big bite out of your income, and can probably save at least the difference between your rent and that higher mortgage bill. In addition, if you are in reasonably good health, the premiums for a whole life insurance policy won’t be nearly as high as they would be if you start the policy when you get older. And since you are young, and have many years of productive employment ahead of you, you are probably in a position to make some investments that involve a degree of risk that is higher than an older individual would be advised to make. About the time in your career and/or married life that you first say to yourself, “If anything happened to me…”, it is only natural for you to begin thinking about life insurance. Insurance companies are well aware of this, which is why they so aggressively promote these policies, focusing primarily on young, healthy customers. They figure that the younger you are when you take out your policy, the more money in premiums they can collect before having to pay any out, and they structure their premiums to be both as attractive to you and as profitable to them as possible. Which is Better, Term or Whole Life? From the insurance companies’ standpoint, term life is by far the preferred policy type. The policies and premiums are structured to maximise profits, while minimising payouts. The day you stop making payments, your policy is cancelled and your money is gone. Essentially, you will have been renting financial security rather than investing in it. Term policies might be a good idea if you are engaged in some hazardous activity in your job or personal life, or if you have incurred a short-term debt with which you don’t want your beneficiaries burdened, should something happen to you. Whole life, on the other hand, promises to pay either a lump sum or regular monthly payment to you or your beneficiaries, should you retire, become disabled or die. By their nature, whole life policies are fairly expensive investments unless you die or become disabled early in the life of your policy. These policies do, however, offer some protections to yourself and tax benefits to your beneficiaries. As you grow older, you will probably become a bit more averse to risk in your investments, knowing that you have fewer years ahead of you in which to make up for any loss you might suffer from potentially lucrative but riskier investments. For many years, gold was considered to be the ultimate in safe investments, but with the fluctuations in the price of gold during the last recession and recovery, that “gold standard” might no longer be as safe as it once was, at least in the short term. Most investment advisors encourage their clients to invest in historically reliable markets that have a track record of steady increase, but also to diversify their portfolios so as to mitigate damage, should one of the investment vehicles suffer a significant downward turn. By following such a plan, you may have a good chance at substantially increasing the value of your portfolio, while at the same time avoiding any severe negative impact to your financial security in your golden years.